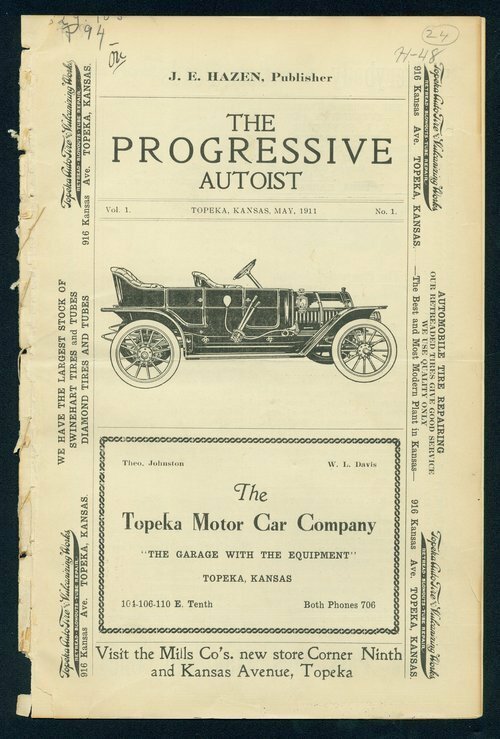 The Progressive Autoist was published in Topeka, Kansas, by J. E. Hazen, editor and publisher. It was a national publication issued monthly in the interests of autoists and the good roads movement. The individual issues may include narrative driving directions from city to city; advertisements; hand drawn maps of cities, counties, and states showing the most favorable routes; advice on operating an auto; occasional poetry; articles on motorcycling, cycling, good roads advocacy; and notes and minutes from the meetings of advocacy organizations.